I missed the opening of the river season as I had various Father's Day duties to attend to. Luckily I did get a decent fishing cap and t shirt so at least I look the part. Today I was keen as mustard to get out onto the Somerset Levels and catch some Roach, Rudd and maybe a Chub or two. I was going with an absolute minimum of gear. Just my Daiwa Pellet waggler rod, my fox reel, couple of cheap floats, bit of shot, a few size 14 hooks, tin of sweetcorn and Morrisons wholemeal bread. Oh, and my dinky little landing net I bought a while back which looks a bit like one of those nets you get at the seaside. My first stop was the drain at Ham Wall Nature reserve. It was in serious need of a haircut both above and below the water. Also the water was running very clear indeed. Hmmm. 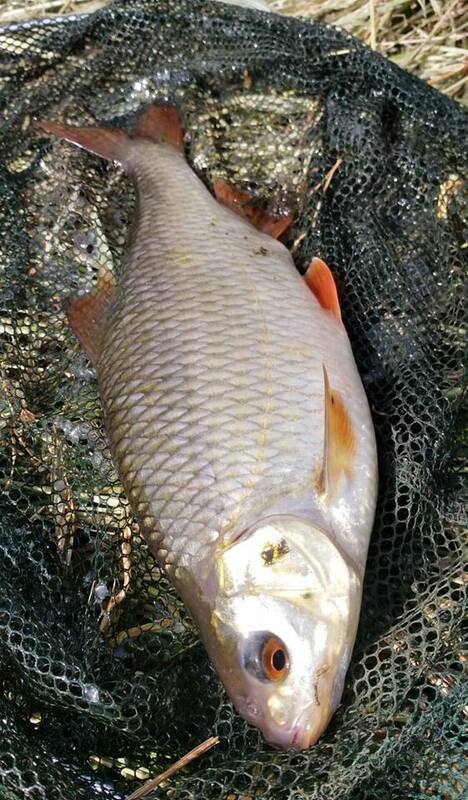 After a bit of roving about I hit into a little Rudd which promptly fell off the hook. The commotion killed the swim so I decided to move to a spot underneath the bridge, where the weed growth was much less. A put in a few scraps of bread and moulded some on the hook. It didnt take long before the float twitched a buried. First fish of the river season. I wasnt just the fish making an appearance. There was a fair bit of slithery activity with 2 Grass snakes and an Adder showing both in and out of the water. Bad video of a Grass snake under the bridge I was fishing at. A good number of Rudd similar to the one above fell for the bread but after catching six or seven it went quiet. They had wised up! I had a bit of time left and was keen to get a Chub. For that to happen I had to pop over to the River Sheppey, where the blog began! I tried getting some selfies with him but it didn't work. In the end I admitted defeat and back he went. I would estimate that he was a solid 1lbs and certainly the biggest Roach I have caught. 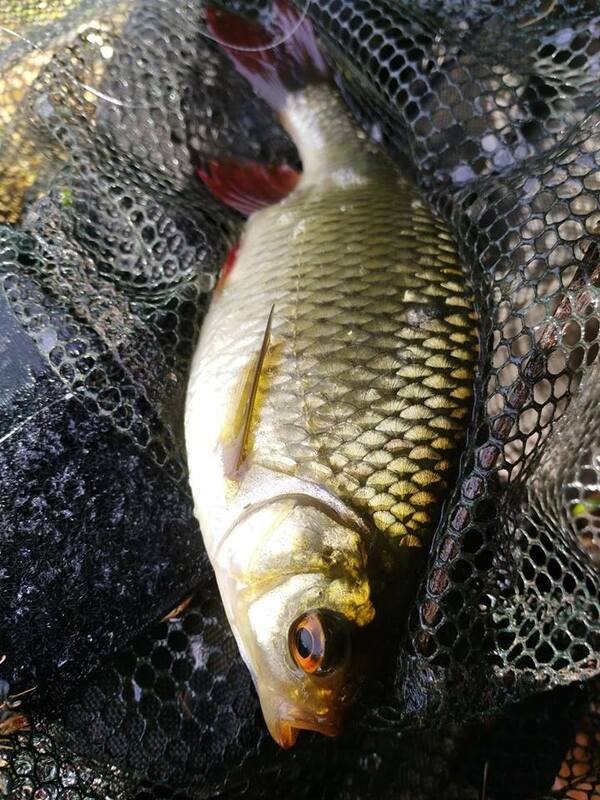 I returned home with no Chub but the Rudd and Roach (especially the Roach) had more than compensated. There is something truly special about catching fish on the river. I don't mind fishing the lakes but the river is hard to beat.